LED TV, Plasma TV, LCD TV and Flat Screen Mounts and Stands. 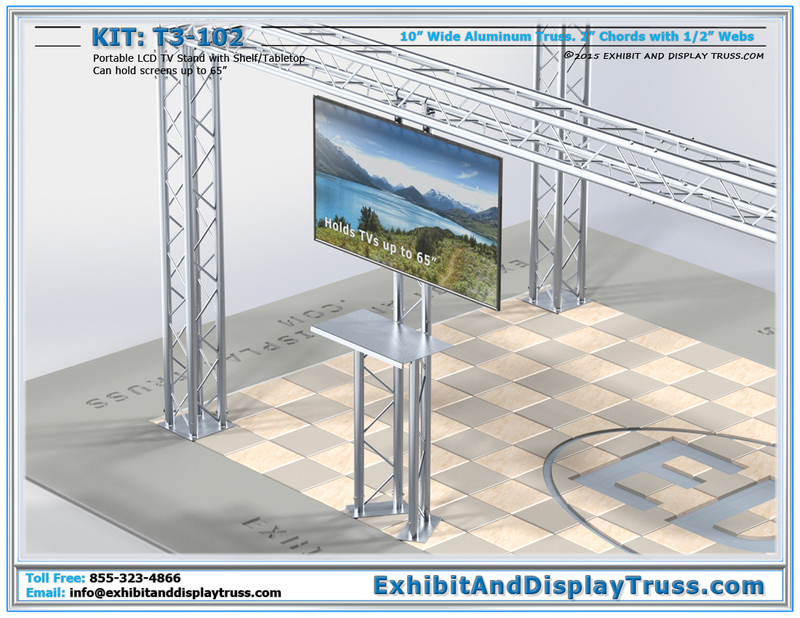 Draw more people and potential clients to your Truss Exhibit System with digital display kiosks. 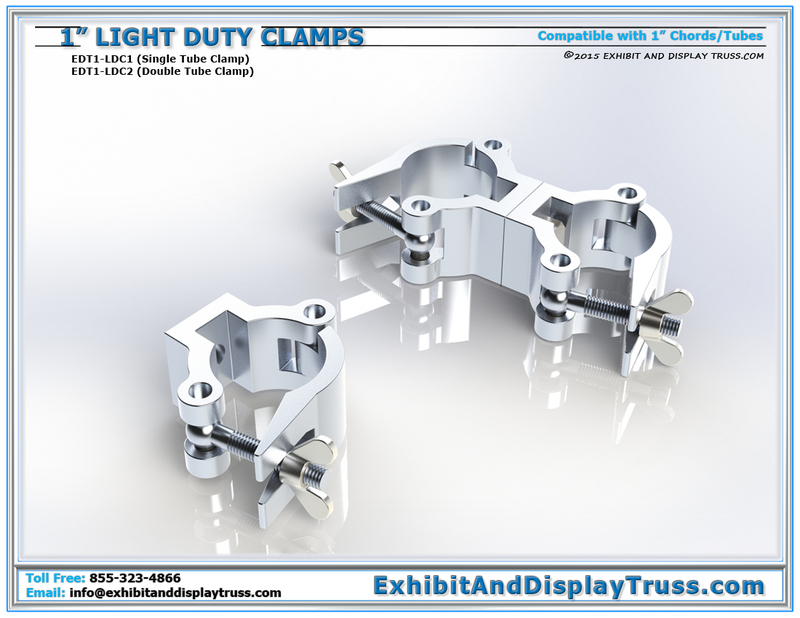 Our LED TV stands and plasma TV truss mount systems are a trusted way to hang and or fasten digital displays to our metal truss trade show displays. 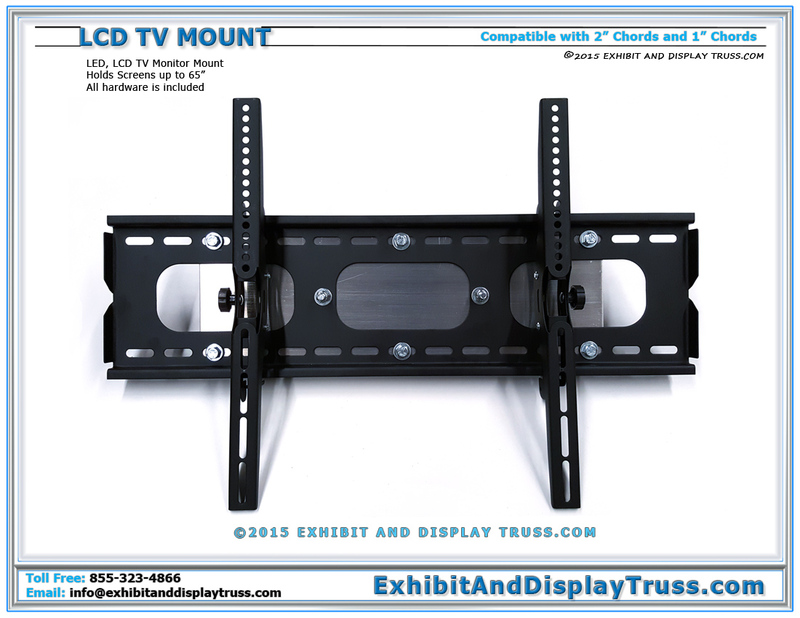 Our LCD TV stands and Plasma TV stands are made from 10″ wide aluminum triangle truss or any other aluminum truss profile shape we manufacture and can be taken apart easily and efficiently. Light Weight and very strong, our Flat Screen TV Stands are highly portable and easily transported to any venue, lecture hall, exhibition, convention hall or presentation. Some of our stands come with a tabletop/shelf which makes it perfect for creating laptop kiosks, ipad stations, and an interactive information kiosks. This is also an attractive method for displaying promotional material and branding messages. After much research, we have designed and built monitor stands that will stand tall and stable and hold securely the weight of the TV or flat screen of any size. These Flat Screen TV Stands can be free standing or incorporated into an aluminum truss system. 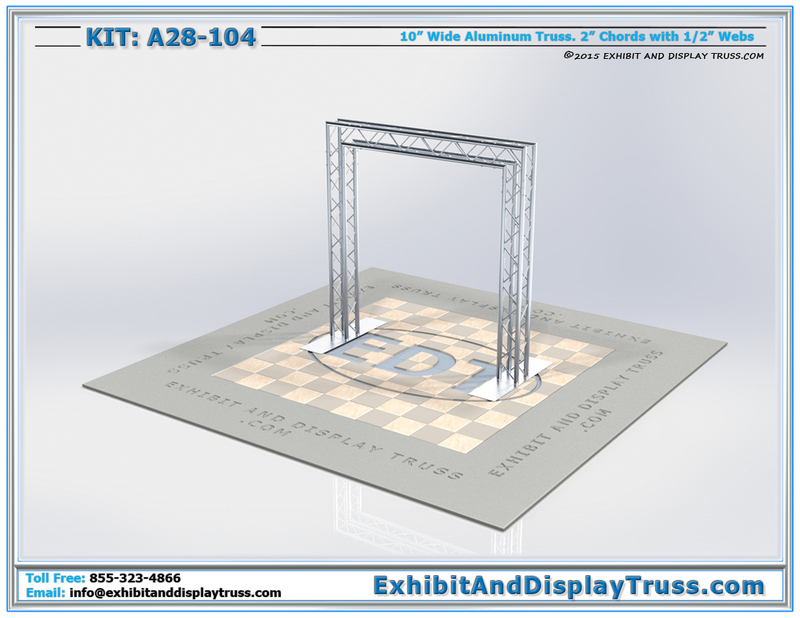 Add a Flat Screen Stand to your Aluminum Truss Display Booth and create a lasting impression on potential customers. 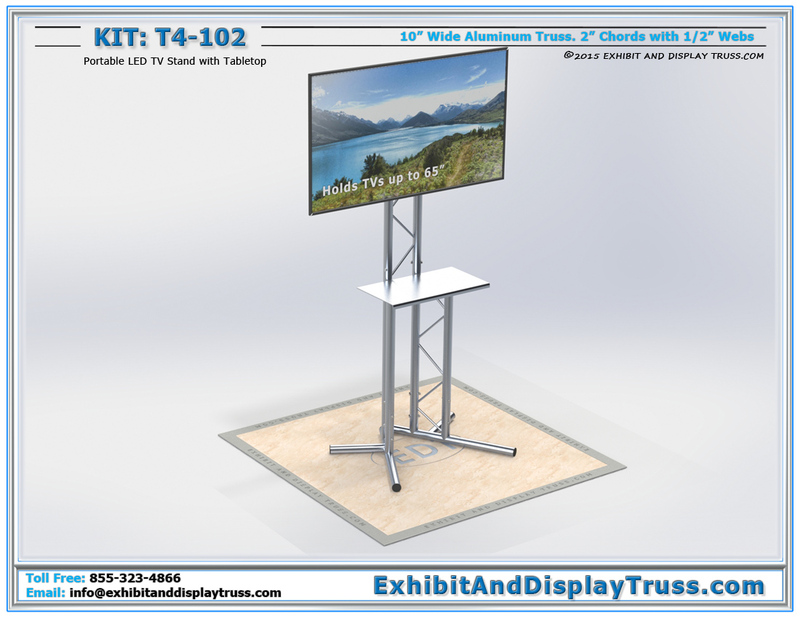 10′ x 10′ Trade Show Displays, 10′ x 20′ Trade Show Exhibit or even a 20′ x 20′ Exhibition hall Display booth will always look more professional with one of our functional LED TV Stands for presentation. 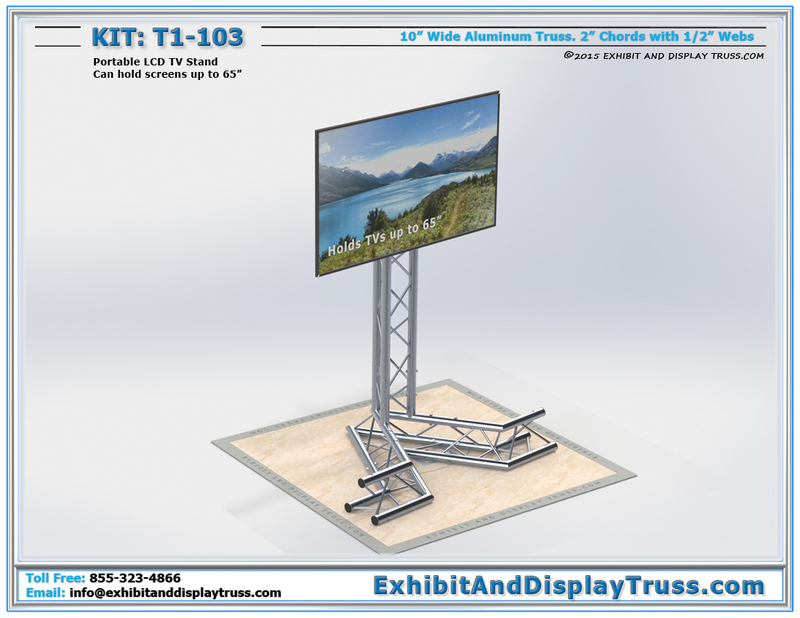 High quality, light weight, sturdy and tall LED TV Stands by Exhibit and Display Truss.com are used in almost every environment or business setting. Retail stores use them for advertising new products. 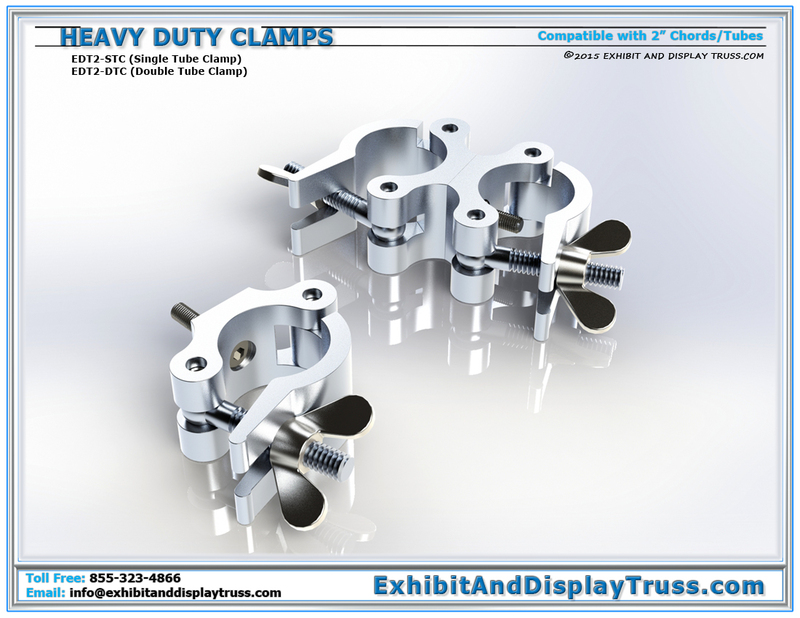 Show case windows make use of the portable flat screen stands and mounts to add flare to a stage or product setting. perform well and are an inexpensive method of holding large screen TV’s for advertising. 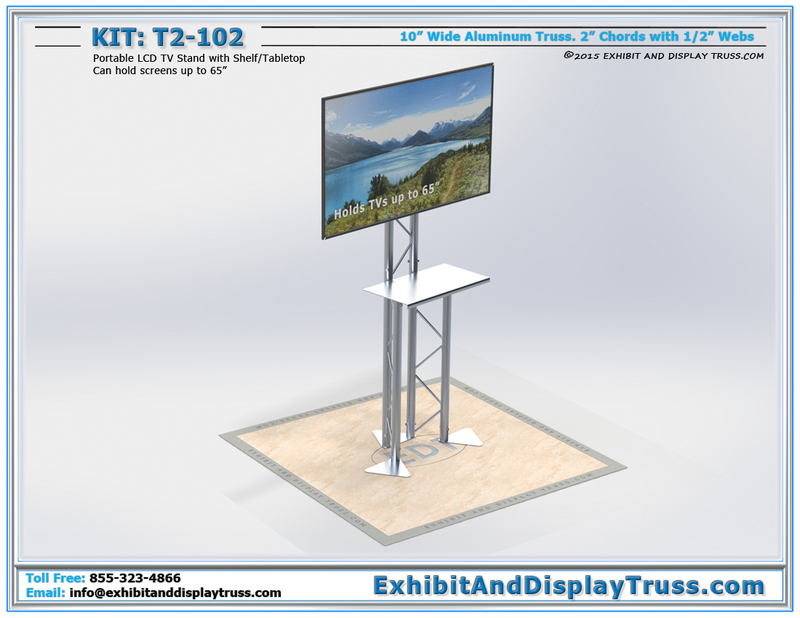 The best big screen tv stands are Exhibit and Display Truss stands and mounts.